Rheumatoid arthritis (RA) can cause irreversible joint damage and affects more than 690,000 UK adults. Treat to Target (T2T) represents an important advance providing clear direction on tight RA control. 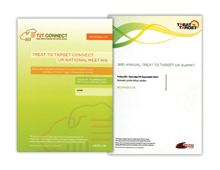 A previous T2T education programme, led by a UK Steering Committee (SC), was awarded Communiqué and PMEA awards in 2012. To drive T2T in today’s NHS, we embarked on a journey to change clinical behaviour. 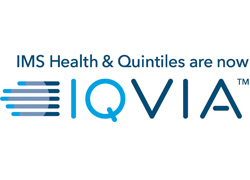 Qualitative expert interviews revealed barriers to T2T and highlighted the need for a collaborative approach, including RA patients, commissioners and healthcare professionals. T2T Summit: including peer-to-peer Experience Exchange. Interim results of the audit demonstrated a positive impact of T2T awareness. Following our multi-stakeholder programme a survey of 192 rheumatologists showed improved T2T implementation vs preliminary audit findings, specifically around monitoring disease activity (44% to 76%) and appropriate treatment escalation (72% to 83%). This programme was evolved – it was well designed and well implemented. It is multifunctional and shows a wider scale of collaboration that is supported and therefore sustainable. Through improved stakeholder engagement it led to patients, HCPs and CCGs working towards a common goal of improving outcomes in rheumatoid arthritis. It genuinely changed the way people behaved in consultations.